Find Micro Mosquito Coil, Spiral Mosquito Coil, Eucalyptus Mosquito Coil on Industry Directory, Reliable Manufacturer/Supplier/Factory from China. 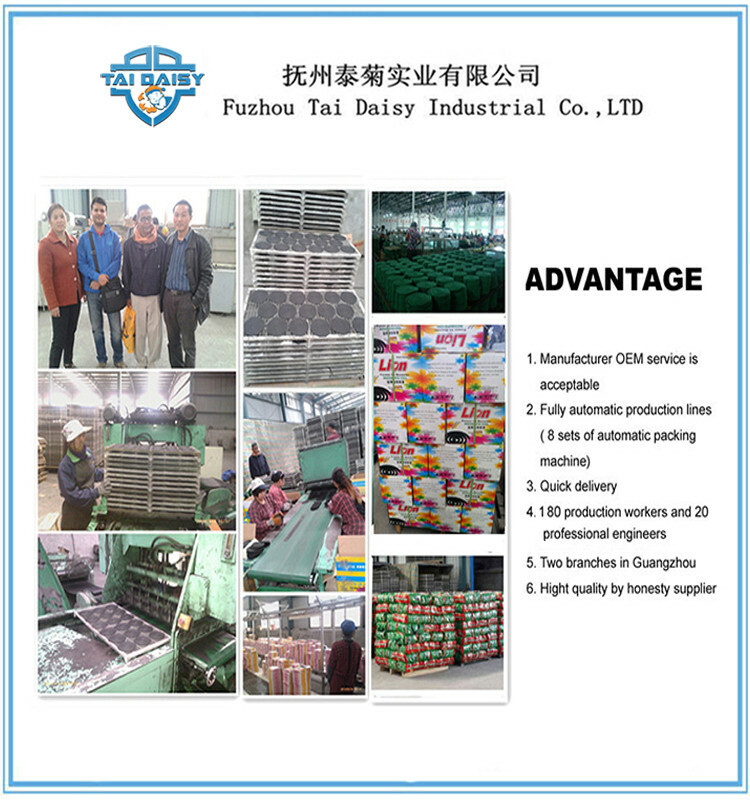 Fuzhou Tai Daisy Industrial Co., LTD is a professional enterprise of daily chemical series products such as Mosquito Coil, Insecticide Spray, Air Freshener, electric Mosquito Repellent Mat and electric mosquito repellent liquid. Research and development, production, sale in one. 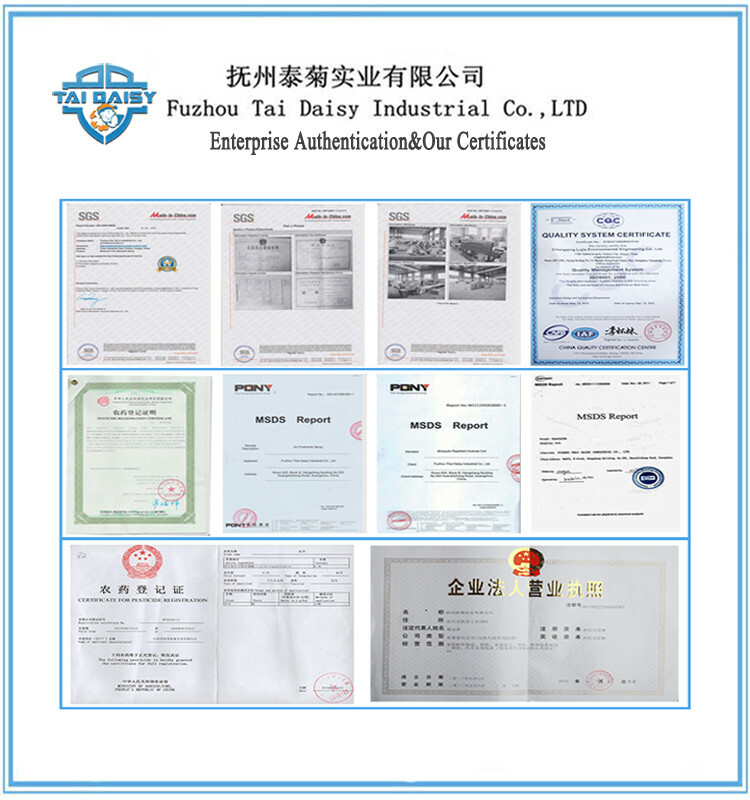 TaiDaisy mosquito coil is made up of high-grade raw material, adopting international recent technology and employing advanced spray-spint technology. TaiJu,BD-Lion,Chim Thai,Lion Guard.Shanghai Super,Beibendon ,etc. kill mosquito in house, hotel, restaurant and office,etc. Office Address RM 1407-1408,Jinying Building No.316 Huanshi Middle RD,Guangzhou,China. 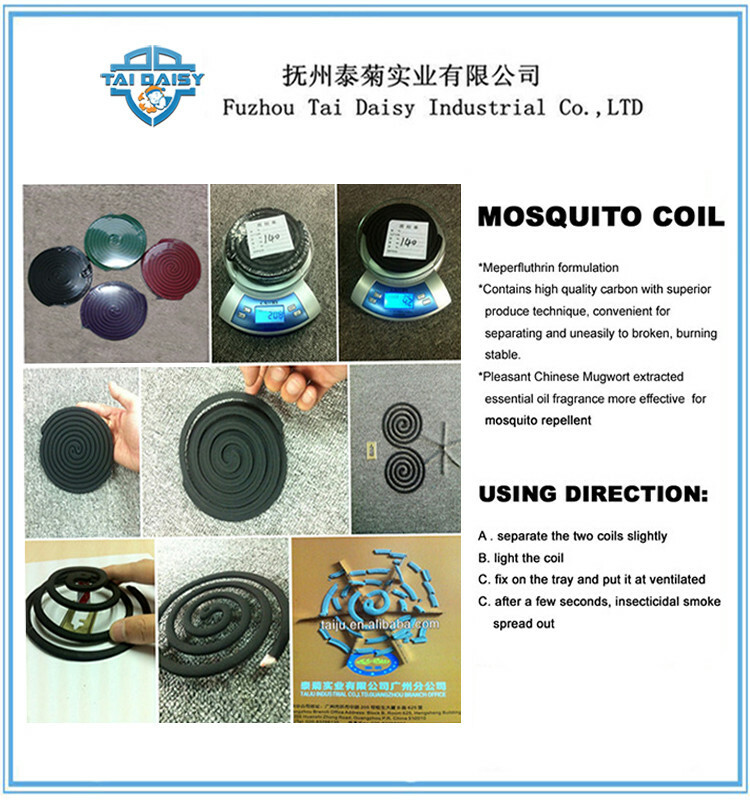 Contact us if you need more details on Mosquito Killer Coil. We are ready to answer your questions on packaging, logistics, certification or any other aspects about Make Mosquito Coil、Bangladesh Mosquito Coil. If these products fail to match your need, please contact us and we would like to provide relevant information.